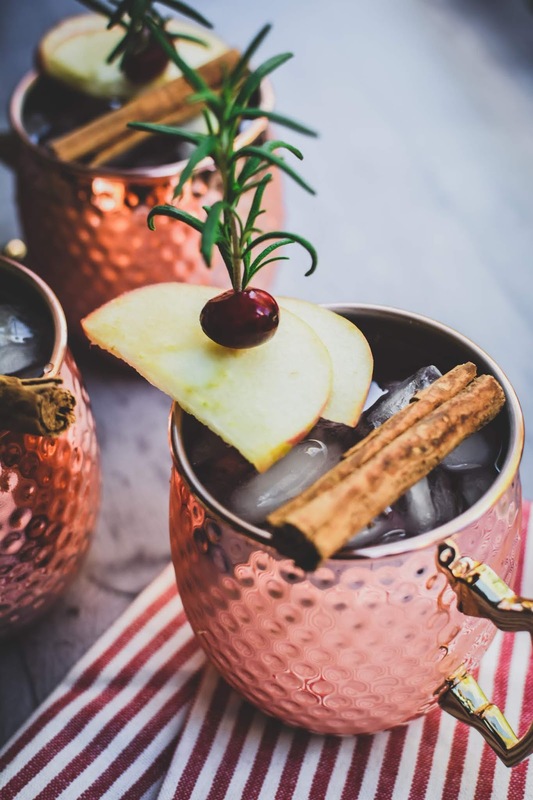 Thanksgiving is almost here and I’ve got one more delicious cocktail for your holiday celebrations. I used yummy apple cider, tart cranberry juice, tasty Cat Head Pecan Vodka, and a splash of ginger ale. 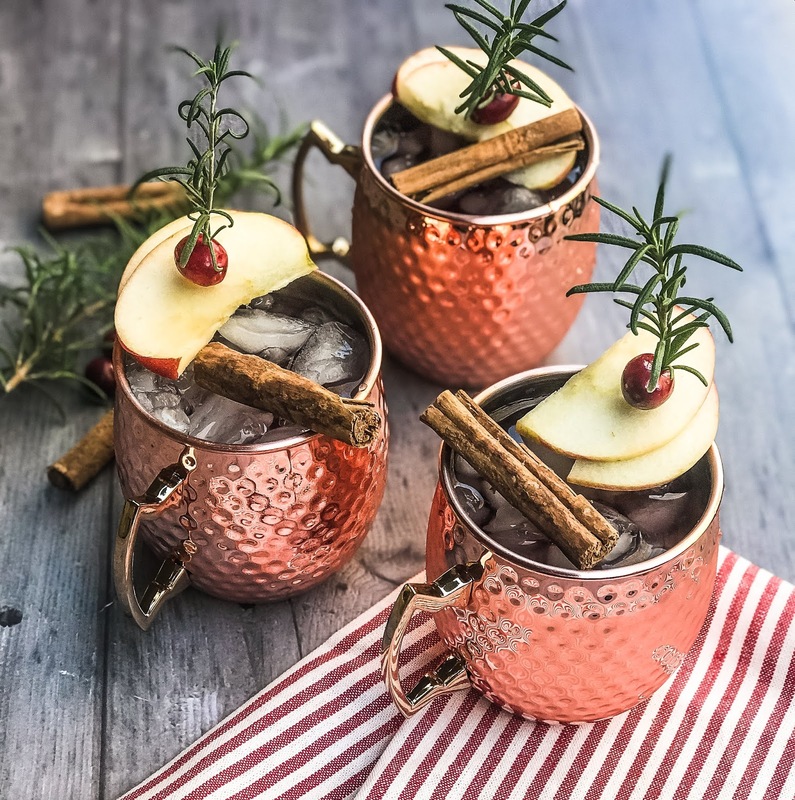 So technically this is not a regular Moscow Mule, but I loved this cocktail served in these copper mugs. So festive. 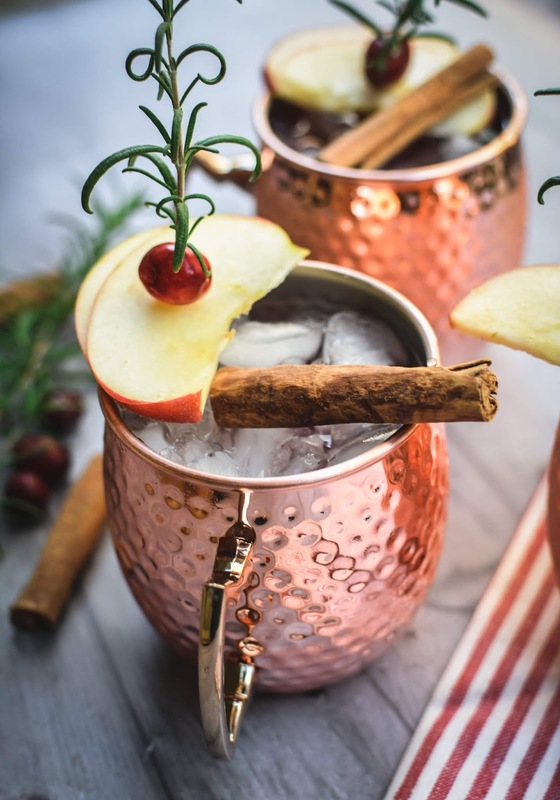 This is another festive cocktail that can be made ahead of time in a pitcher for serving. I love setting up a little area where my guests can serve themselves a delicious cocktail while I’m still in the kitchen cooking up a storm. I usually have the garnishes set aside and already prepared so that they can easily garnish their cocktail–you definitely don’t want to skimp on the beautiful garnishes. 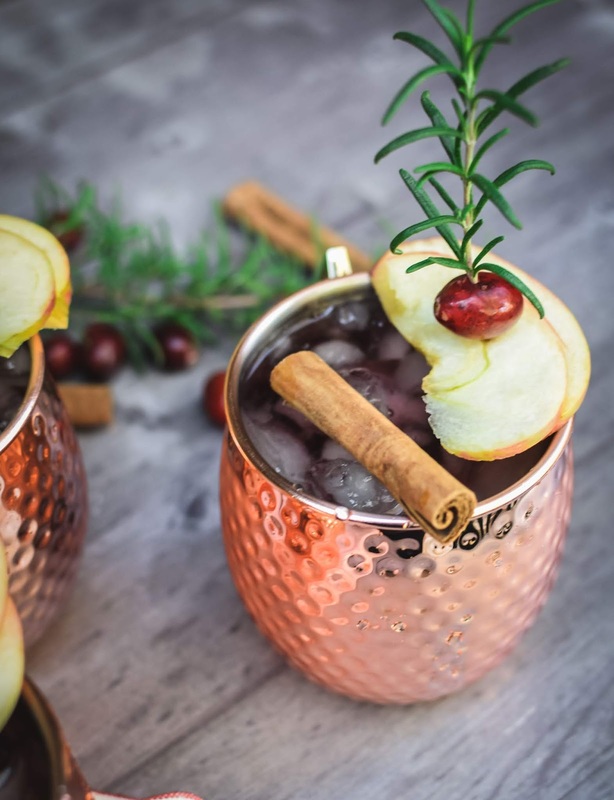 Garnish with apple slices, cranberries, rosemary sprigs, and a cinnamon stick.